Whether by birth or adoption, these African kids scored the richest, boldest and most famous parents in America. Consequently, these little ones get to live luxurious lives full of trips around the world, expensive things and of course, the paparazzi. Let’s check out these little “African" American kids before they get the Grammys, the Oscars or the scandalous stories on gossip blogs. 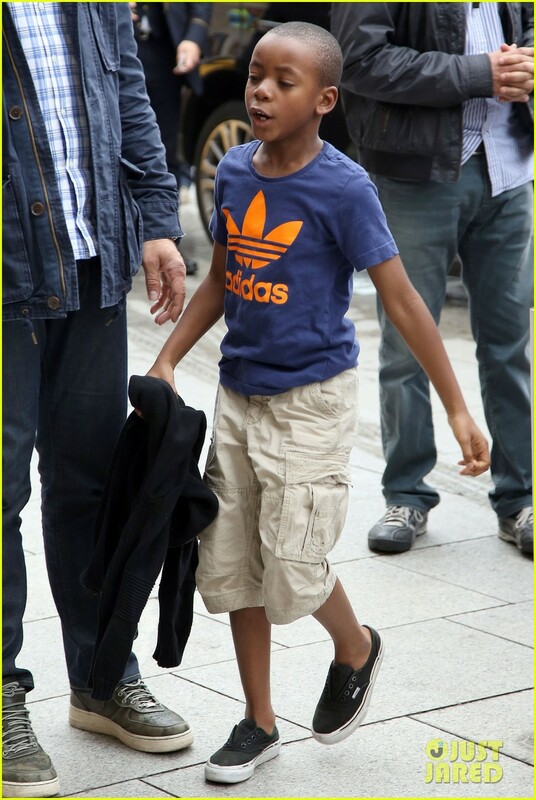 David Banda Mwale Ciccone Ritchie, 7 years old, was adopted by Madonna and then husband Guy Ritchie. He was born on September 25, 2005 in Malawi. The adoption process began in 2006 and took over a year to be finalized. In 2010, David went back to Malawi with his Mom and visited his orphanage. Madonna and Guy share custody of the little boy. Chifundo James, known as Mercy James, was adopted in 2009 by Madonna. She was born on January 22, 2006 in Malawi. Madonna was first denied the ability to adopt Mercy. In order to adopt a child in Malawi, the prospective parent is to stay in the country for 18 months. The requirement was later waived, as it was for David. 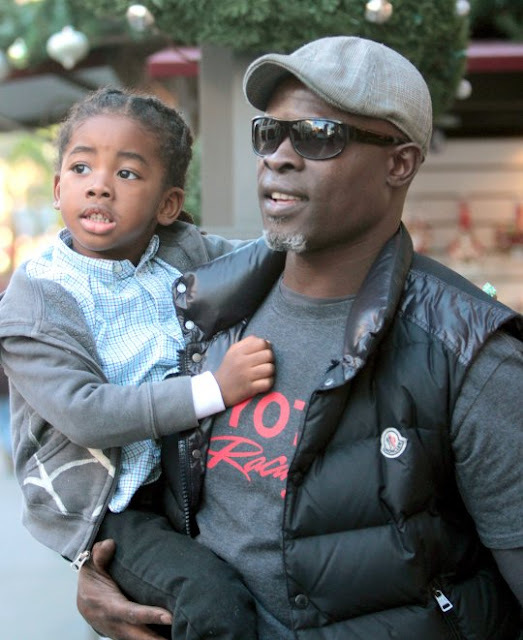 Kenzo Lee Hounsou, born on May 30, 2009, is the son of American fashion model Kimora Lee Simmons and Beninese Hollywood actor Djimon Hounsou. We heard the 3 y.o. speaks French fluently Yeah, Djimon wants his son to be bilingual just like Daddy. No news on when baby Hounsou will make his first trip to Benin (if not done yet), but speaking French will be very helpful there. 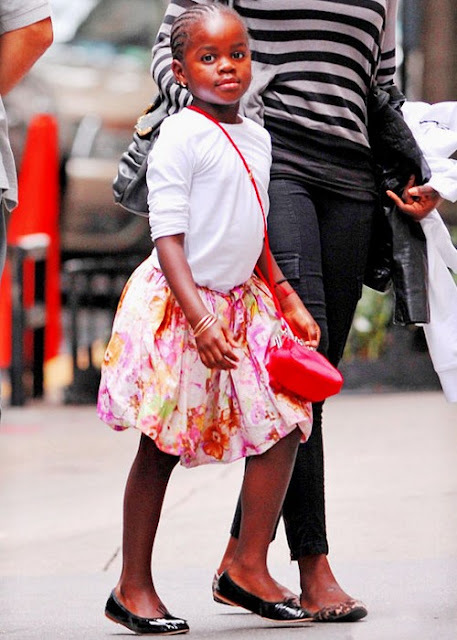 Zahara Jolie Pitt, 8 years old, is the adoptive daughter of actors Brad Pitt and Angelina Jolie. She was born on January 8, 2005 in Ethiopia, where she was adopted 6 months later. Zahara was mistakenly believed to be infected with HIV but further examinations showed that she wasn't. Zahara is said to enjoy horseback riding, something she probably inherited from her Ethiopian culture since the use of horses is a big part of the history of Ethiopia. This one is a little twisty because Charlize Theron’s son Jackson was born in America. But doesn't he deserve some African credibility since his mother is South African? Theron is also making sure that her son knows where Mom is from, as mother and son spent some time in S.A. last December. Jackson was adopted earlier in 2012 in the United States and turned 1 in January 2013.